Do you know that N100 can change your life? 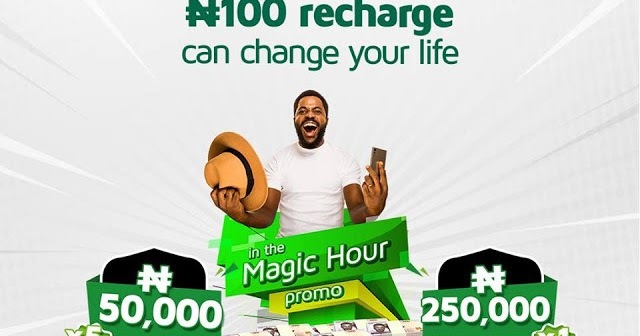 9mobile magic hour promo allows you to win big by recharging N100 or more. You can win up to N50,000 or N250,000 every day. You can even win a smartphone weekly, N5 million a month or N20 million after 3 months. 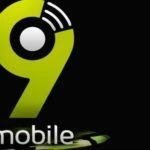 Starting from February 11, 2019, 9mobile began offering the magic promo that can turn you to a millionaire overnight. 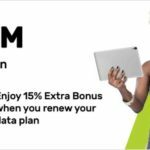 9mobile magic hour promo offers daily, weekly, monthly and three-month promos. Your entries in the draw are determined by the amount you recharge. For a recharge of N100 and above, five 9mobile subscribers stand a chance to win N50,000 each every day and one subscriber stands a chance to win N250,000 every day. There are also weekly prizes to be won for 12 weeks. Unlike the daily prizes, the weekly prizes are not cash prizes, rather winners are rewarded with smartphones. Only 5 subscribers stand a chance to win the smartphones for each week. Furthermore, a lucky winner stands a chance to win N5 million every month for three months in the monthly draws. In addition, a subscriber stands a chance to win the grand prize of N20 million in the course of the promo. The Magic Hour Promo runs for three months starting from February 11. Your entries into the draws increase the more you recharge. Subscribers who meet the recharge qualification threshold will be invited to participate in a raffle draw and winners will be contacted through SMS and also a follow-up call from the 9mobile call center. Only prepaid customers on Moretalk, Morecliq, Talkzone, Moreflex, Cliqlite, and Morelife can participate in the promo. However, postpaid packages, staff packages, Morebusiness and Hybrid are excluded from the promo. Also, subscribers from states like Yobe, Adamawa, Bauchi, Borno, Katsina, Kano, Jigawa, Gombe, and Bauchi are not allowed to participate in the promo. As pointed out above, for the daily prizes, subscribers are required to recharge a minimum of N100 to win. A minimum of N300 recharge is required of subscribers for the weekly prize. To qualify for the monthly draws, subscribers are expected to recharge at least N1500 within the week. Similarly, a minimum of N4500 recharge during the months is expected of subscribers to qualify for the grand prize. Note that your entries in the draw increase with the amount you recharge. 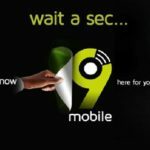 You can also increase your chances of winning in the 9mobile Magic Hour Promo by texting WIN to 88808. You will be required to answer three questions when you text WIN to 88808. This is charged at N100. You will be rewarded with one ticket to qualify for the weekly draws if you get the answers correct.